The 2019 School Calendar is published for the period January 2019 through January, 2020. Unscheduled closings are due to weather conditions. When such events occur, students are notified by a voice message and a text message via their cell-phone. January 2020: school opens, Monday (6th). I-20 students are entitled to 1 week vacation for each three months in attendance. There is a mandatory attendance requirement of 18 hours per week, Monday through Thursday. Students have the option of attending one of the following programs: 8am-12:30pm or 6pm-10:30pm. Any unexcused absence must be made up hour for hour on Friday, 9am-1:30pm of the same week. 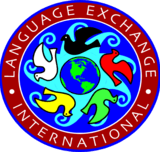 Language Exchange has a rolling enrollment. New Students may begin class on any Monday during the school year. Language Exchange operates on a 12 month basis. Each ESL course requires 16 weeks of study. The ESL program provides studies in Reading, Writing, Listening and Speaking taught daily. Students are placed into a Course Level based upon the results of a Placement Test taken after registration. The Placement Test is available on Monday thru Thursday between 10:00am and 4pm. If these times and days are inconvenient, every effort is made to accommodate the student. Please call the Registrar for an appointment. Language Exchange provides the following ESL levels: Introduction, Levels 1, 2, 3, 4, 5, 6a and 6b.